Quick post: Just got the first board few days ago! Haven’t had much time to play around with it but got it assembled and first test runs seemed ok with some simple code snippets. But of course there was a mistake. 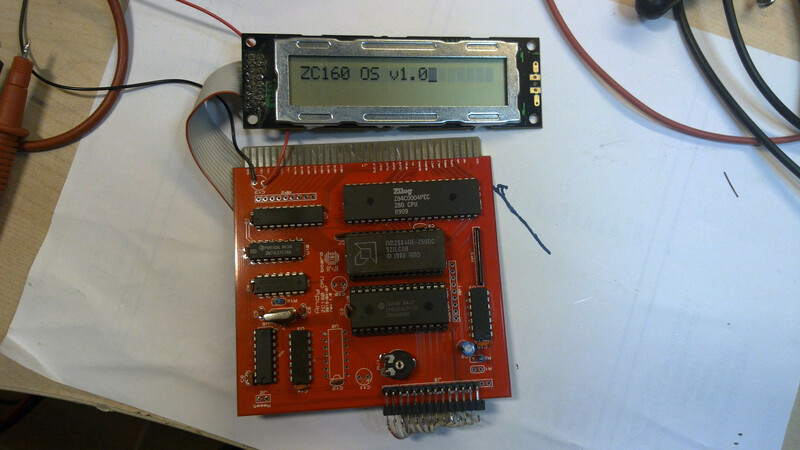 I put a connector for HD44780 based LCD for debugging purposes on the board. It has been quite a long time since the last time I used these LCDs with anything else than microcontrollers with existing drivers for them, so of course I forgot that the enable (or clock) pin does not work like chip enable pins work on memory chips etc. So after some bug searching in the code, I realized that the problem was inverted enable pin. Fortunately it went through an inverting gate before going into the LCD so it was easy to fix with a small hack on the board. And here is the pic!